October has come and gone and another month of great feature improvements for ExaVault is in the books! We wanted to let you know about some of the changes just released in the application. You’ll love to send files with Email Lists and Single Click Notifications. Previously, groups have been only available in the Send Files area of the tool. After gathering feedback about groups and how people are using them, we’ve moved them to the Account area of the web interface and have renamed them ‘Email Lists’. Email Lists are now available in every ‘To:’ box… anywhere you can enter someone’s email address to send or share a file! We hope you’ll enjoy this much asked-for feature. Notifications are handy tools and we’ve made them even handier. Create a notification in one click instead of several. Adding a notification will set default permissions on your notification that you can easily edit after it has been created. 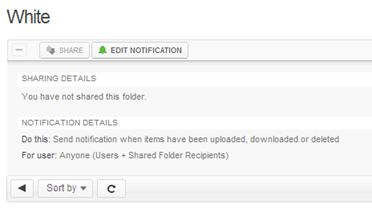 Don’t forget that you can create notifications in both the file manager and on the ‘Notifications’ summary page. 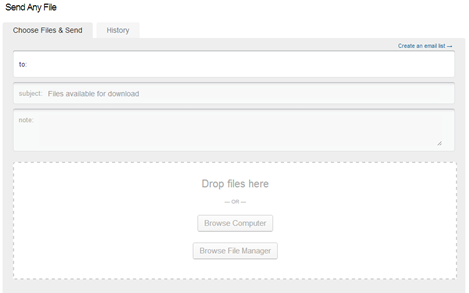 We’ve updated the Send Files area of the site to let you send files from either your computer or your file manager. Sending files is even easier as you can send a mix of files from both your computer and your file manager in one easy step. These simple changes should help to streamline your efforts in sending and sharing files from anywhere.